On Tuesday I had the opportunity to take my lovely wife on our first date since the birth of our son. We went to the Tech Cocktail pitch contest by Tech.co. This was the first of two pitch events as part of the Umbrella Week/Tech Fiesta ABQ. There were 11 local startups who were setup around Stereo Bar talking about their company. They then each had 1 minute to pitch their business. The pitches came from SunPort, Sociabile, Punctuality, Peptineo, sheSpire, innoBright, Pi-Fi, Wyrdos, ExploreMedia, SWSD Global, and Time Trader’s Club. You can watch all the pitches at Newscastic. It was a great event and a lot of fun to be able to actually talk with the people pitching before hand and meet them personally. The winner for the best pitch was SunPort and the reader’s choice winner (which I believe was an online poll before the event) went to Punctuality. They both get to go to Las Vegas and compete for big prizes in a startup competition at the Tech.co Celebrate 2015 conference. The competition is October 5th so keep an eye out for the winner then. On Thursday there was the sold out Pitch Fiesta 4.0 at the Standard Diner. 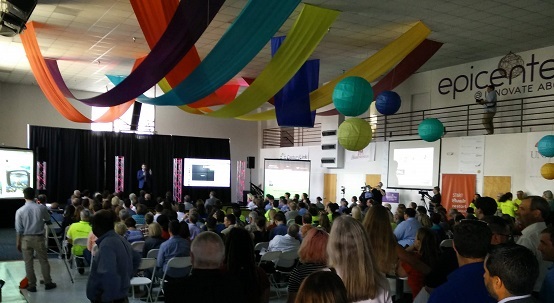 I was unable to attend (it sold out quick), but many of the same companies presented. EquiSeq placed 1st, Punctuality got 2nd, Buckle Down Systems got 3rd and U-Trade won both the Judge’s Choice and People’s Choice award. Other presenters were: Tour De Rue by Games of Heart, Quizus by Hermes Development, Wyrdos, Time Trader’s Club, sheSpire, Custom Cult Snowboards, and Aquaponic Solutions. This is a followup to my previous post about the PC ProPad 4. I finally got a chance to figure out the full functionality. I wired it up only using the active connections and created a simple sketch to get more specific output from the connections. I tried to design it so it would work for any GamePort connection. 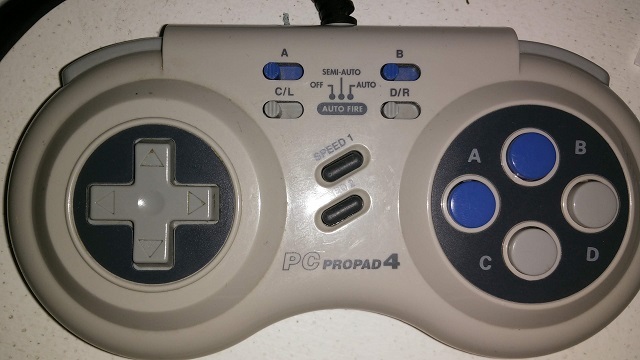 Next a wrote a much more complex sketch specifically for the PC ProPad 4. It allows me to configure interrupts, buttons, speeds, etc. I also wrote it with the intention of controlling a mouse. The Uno only has two interrupts and can’t connect as a mouse, so that part is untested. This sketch and the PC ProPad 4 should ideally be hooked up to a Leonardo or Due. This will allow you to use interrupts for all the buttons and connect it as a keyboard/mouse to the computer. I will try it on the Netduino, which I believe supports interrupts on all the pins. It seems sending 3v should be fine, I just have to make sure I actually change it to the 3v line so keep the Netduino safe. The first question I had what was the semi-auto, auto and speed buttons do? When a button is set to semi-auto then holding down the button will continue to fire the bottom (change from high to low). When the button is set to auto, it will fire the button constantly without it being pressed. Once I figured that out I remembered all the Doom 2 games I played with direct modem connections and setting my fire button to auto and having lots of fun. The second question was what do the speed buttons do? I thought the speed button was some how associated with the analog direction pad, but this is not the case. The two speed settings set how fast the button is pressed when using auto and semi-auto settings. On Speed 1 the button is pressed about every ~30ms. On speed 2 it is pressed as fast as it can. The buttons need to be debounced and you can’t tell the difference between a bounce and the button firing automatically on speed 2, so it really just runs as fast as you are willing to debounce the button. 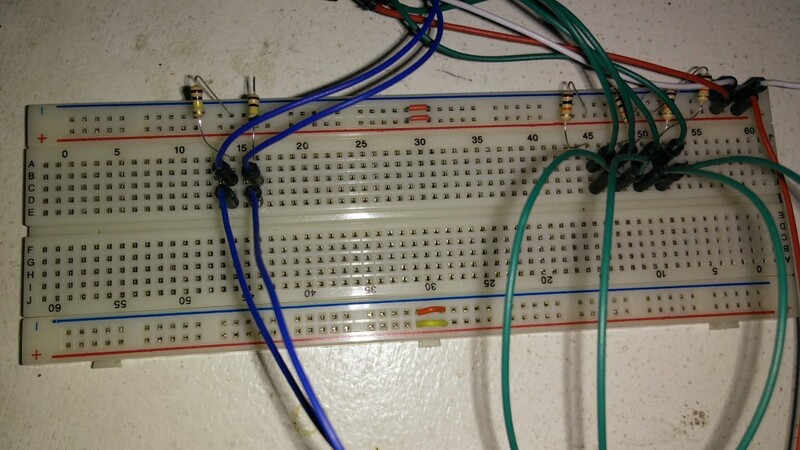 The next step is to see how this runs on the Netduino, then I’m going to try and create my own PCB board for a GamePort shield.